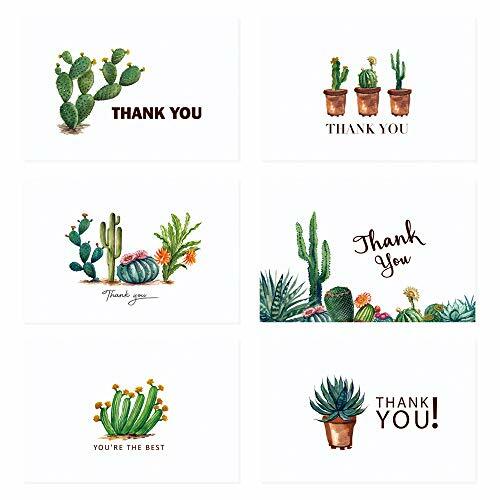 【Cute & Trendy cards , Meet All Occasions】The cactus thank you cards present in 6 cute and trendy designs that deliver a pristine feeling. A variety of nice designs are suitable for wedding,bridal party, birthday, graduation, baby shower ,business and so on. 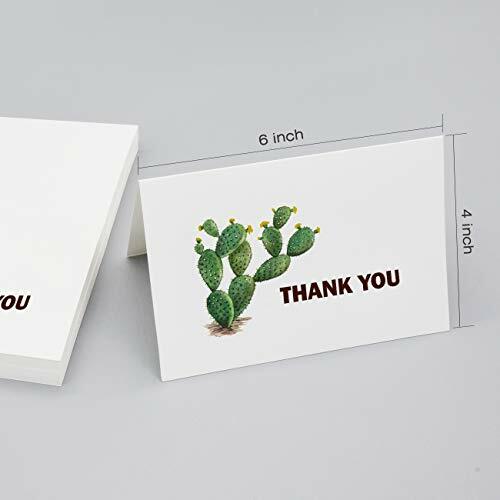 【Perfect Size, Great Quality】The bulk thank you cards are in perfect size and great quality. There are 6 styles and each style come with 6 cards. The folded size is 4 x 6 inch. 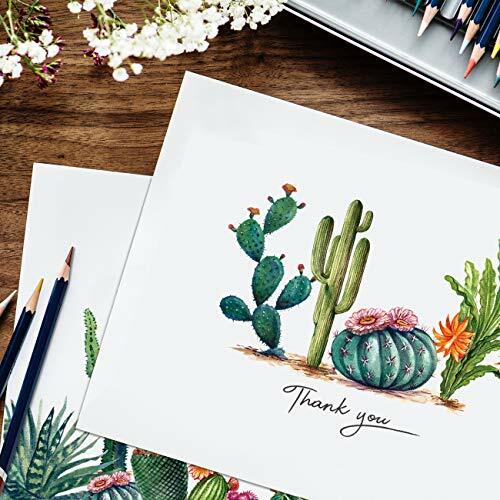 Made of good quality paper, these thank-you cards are clean, bright and well-printed.Nice designs for generic a thank you. 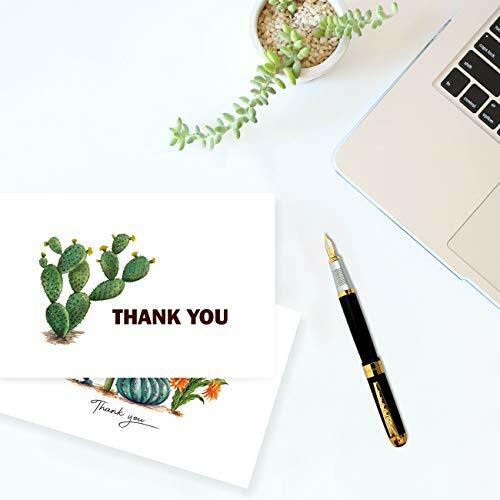 【Heavy Weight Self-adhesive Envelopes】The 4"x 6" thank you cards come with 36pcs premium self-adhesive kraft envelopes. 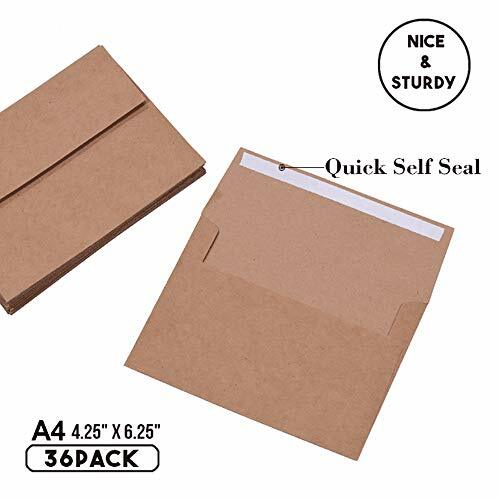 Quick self-seal saves you a lot of time and makes things simple. 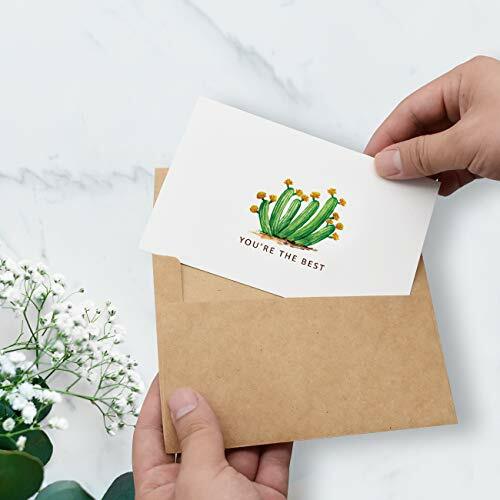 【Blank Inside, Easy To Write On】The inside of 36 Greeting Cards is blank so that you can write with different pens simply and dry easily. As for the blank part, you can design patterns with your imagination and write down your words. 【Satisfaction Guarantee】We provide 100% refund for 30 days with no questions asked! 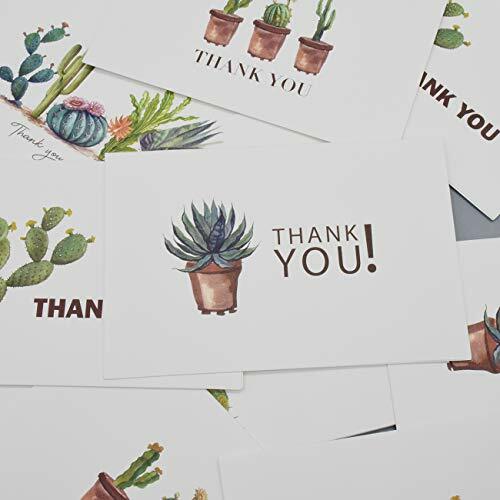 Do it now to show people you do appreciate with a thank you card.